Please note that the Xtend-Life Bone-Support Product was previously known as "Bone-Protec" but it has since been renamed to its current name of Bone-Support. Everything else in the product is the same. 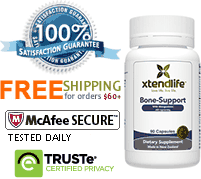 Welcome to the review of the Xtend-Life Bone Support which primary function is to improve bone strength and our skeletal system. If you're getting older, or if you know someone who's getting older and at risk of developing osteoporosis (or has already developed it); or if you're worried about your bone mineral density (BMD), then the Bone-Support may be just what your bone and skeletal system needs. Xtend-Life, the supplement manufacturer, says that their Bone-Support supplement was carefully researched, formulated and more importantly, clinically tested to be pharmaceutical grade with high quality and tested raw materials. They added that they specially formulated this product (as well as all their other health supplement and skincare products) to have biochemical synergy, so that they work synergistically and cooperatively together. Xtend-Life also says that they've done in-house lab testings that confirms at least 80% assimilation and absorption into the human bodies. The 80% assimilation and absorption rate is in fact, a very strong figure if true. You see, most health supplements today are made with inferior quality ingredients and materials, and tends to be quickly destroyed and disposed from our bodies either as darkened urine or sweat. Ugh. What this 80% assimilation and absorption for the Xtend-Life Bone Support product means that every dose you take, at least 80% of it goes into building stronger bones and a stronger skeletal system for your body. And that's how Xtend-Life positions itself, which is to increase the end-result of the bone supplement being able to significantly decrease the risk of brittle bones (brittle bones = increased risks of fractures and bone complications such as non union) as well as improve joint health. A by-product is that it also helps with arthritic pains. This product will improve your bone strength and skeletal system with a regular and consistent use, and you can use it following a bone injury (eg bone bruising or bone fractures) or preventatively, to decrease bone and cartilage damage risks. Another bonus of the Xtend-Life Bone-Support is that it is of high value to athletes and individuals who are active in sports, or live an active lifestyle, as well as people who are above 50 years old or are at an increased risk of osteoporosis due to lifestyle, diet or genetics. One of the key points that makes the Bone-Support rank highly is because it is of pharmaceutical-grade level quality. You see, to attain this grade (and to maintain it) is very tough. That's why most supplement companies take the easy route of adding fillers to their supplements, as the core nutrient density is so low that they have to add unnecessary and non-beneficial fillers to "fill it up" so that it'd "look good enough to sell". Xtend-Life strongly promises and communicates that they don't do that. To add to that, Xtend-Life delivers all the raw ingredients that they plan to use to independent neutral labs in the United States to test and certify quality, purity and fit for use before any ingredients is even allowed into any of their products. It's a standard operating procedure. Personally, as a health enthusiast, business owner and investor - I love this. Xtend-Life is registered and compliant in being current in Good Manufacturing Practices (cGMP). In a 2010 governmental policy-making made NSF for Sport GMP certification becoming more and more prevalent...but this doesn't even compare to GMP standards, which means that Xtend-Life's products are graded as pharmaceutical quality. Most of the manufacturers and supplement companies wont even do the bare minimum which is the NSF for Sport GMP compliance as it costs money, and they're too profit driven. Xtend-Life on the other hand swings the other way by having compliance with GMP, FDA, New Zealand Ministry of Health and even with the British Pharmacopeia for some of their processes - they're that serious and dedicated. To add to that, Xtend-Life produces Certificates Of Analysis (COA) that is stamped on every bottle of every health supplement that they create. It signifies the tested and confirmed potency of each batch of raw nutrients by tests. Xtend-Life says that they built their own manufacturing facility so that they have 100% control on the manufacturing processes and in compliance to the highest GMP and FDA standards as possible. Being cGMP and FDA certified and compliant are high markers of distinction and quality, and any supplement makers' dream. Consumer Reviews: Is It The Best bone and skeletal system Supplement? My friend who is on Bone-Protec [now called Bone-Support] has just been to have a dexa scan done and the doctor told her “keep doing what you are doing, your bones have improved. So that’s great news. I’m next just need to make the appointment. Thanks to you and Warren et al, for helping to keep us healthy. I really like your Total Balance and fish oil supplement products. This product is not as desired, I suppose, like the way a multivitamin is but it’s something need as I am concerned about arthritis and joint health as I am very active fitness wise. Thank you for this great product. One bottle sells for $29.50 USD for 90 enteric-coated capsules which will last you for 30 days. 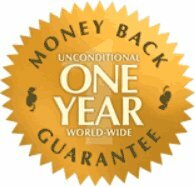 Xtend-Life provides a 365 days money back guarantee (or full product replacement, whichever you prefer). Note that this is a very uncommon practice in the health supplement industry - most time, companies may offer 2, 3 or maybe 6 months at most, but never a full year. That's pretty confident and good of them to offer such a long guarantee. Are There Any negatives or Customer Complaints of This bone and skeletal system supplement? Any reviews that doesn't cover negative aspects are untrustworthy (or maybe that's just me). There is no complaints about product effectiveness or efficacy; the main complaints are mainly about its price. Xtend-Life emphasizes that their product and ingredient quality is much higher and they have all the certification and lab tests to show for it, and that increases the clinical outcomes and of course, the costs too. Their raw ingredients are often purchased at the most pure and pristine level - for example, they say that they only buy pharmaceutical-grade 98% pure natural crystalline Beta Carotene for many of their supplement formula products. Xtend-Life also gets all their herbal extracts tested by an independent laboratory for cleanliness and purity. One lab they use regularly is Alkemists Laboratories. Is This The Best bone and skeletal system Supplement? I hope this review has been helpful to you to decide if it's suitable for you or your loved ones/friends or not.